This is the main system Unit which receive the cable signal variation and evaluate a possible intrusion attempt. The alarm is triggered whenever the alarm threshold limit is over. 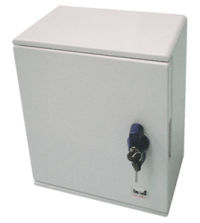 The unit alarm system can be easly connected to a common central unit by dry contact and considered as a zone.